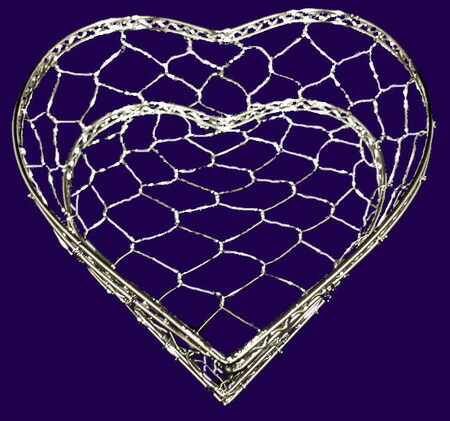 This Heart basket is made of chicken wire. It measures 8" x 8.875" x 2.5" high. It is available only as it is shown here in Chrome. This item is a mistake of item W2002. it is put on special till sold out. Please click on Item W2002 to view the regular basket.